basically, from what ive gathered, talking with many falconers in my area, is that its a vitamin D deficiency. 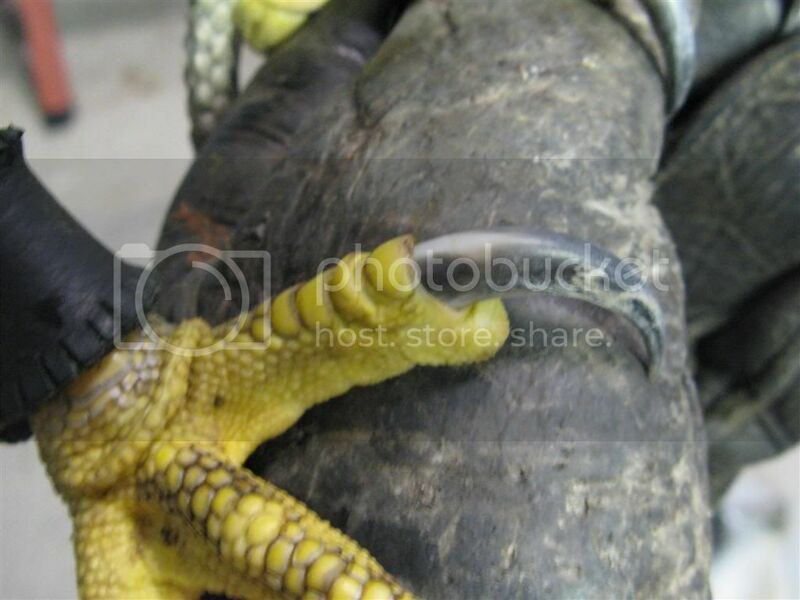 The issue at hand, is the white right at the base of the talons. its mostly just on her #1's on both feet (i believe that talon is the #1?) It used to be on the others but its been clearing up. Sounds like you are doing everything correctly. I would do the same except change from Vitahawk to Nekton Bio made in Germany. Annaliese gets a sprinkle of Nekton Bio every 8-10 days, and I spray her feet down with a water bottle daily. 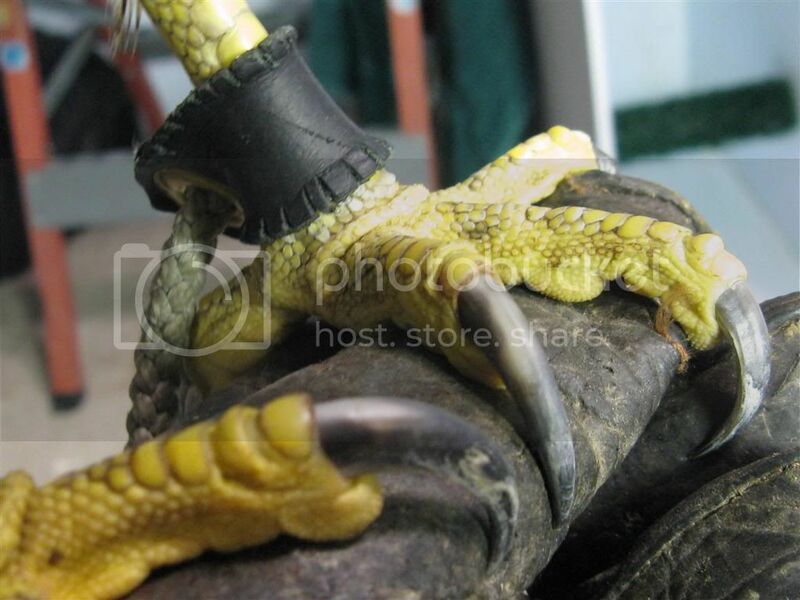 Her talons are sharp as razors. I can not wait until she can test them out on some jacks. Good luck and please keep us posted. Ikcus just currious as to why you sugest Nekton Bio to vitahawk? what are the differences? weve always used vitahawk at the rehab facility i work at but it would be good to learn about other things and who knows it could be better. thanks for the info Ikcus, ill probably end up switching when i use up all the vitahawk. ill keep ya'll updated. The reason I suggest Nekton Bio to Vitahawk is due to my vet's recommendation. I feel very lucky to have Dr. Joseph as my vet. She is known as one of the better raptor vets for miles around my location. She and her husband Andy(falconer) are very dedicated to the rehab of raptors. Ask raptrlvr, as he has flown many of the eagles that come in to Dr. Joseph's clinic. According to Dr. Joseph, the Nekton Bio is the best for feather growth through the moult. Myself and almost all of the falconers in my area use Nekton Bio for the moult.